The Industry's Andrew Mathis & Roberto Muehlenkamp claim this patch of dirt holds the remains of 70,000 Jews & 30,000 others at Ponar, Lithuania. 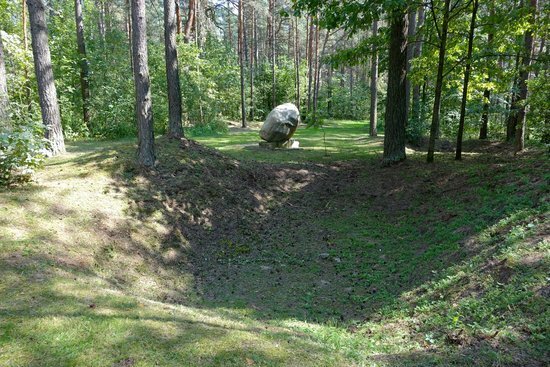 "Mass Grave in Ponar, Lithuania"
Mathis & Muehlenkamp, 'holocau$t' Industry spokesmen, support the claim that an estimated 100,000 people, including 70,000 Jews, died at Ponar, and the above little playground is where those alleged 100,000 people are supposedly buried. Right there, all squeezed into a space barely large enough to play a game marbles in. So why don't the Zionists simply dig it up and show us? Two guys with shovels, as Tom Moran always used to say, could solve the entire matter. And BTW, here's the Los Angeles Coliseum, it holds 'only 90,000'. Show us a verifiable excavation and the alleged humans remains at this site. The 'holocaust' storyline is one of the most easily debunked narratives ever contrived. That is why those who question it are arrested and persecuted. That is why violent, racist, & privileged Jewish supremacists demand censorship. 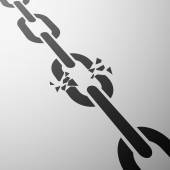 What sort of truth is it that denies free speech and the freedom to seek the truth? Truth needs no protection from scrutiny. Are you sure that's Lithuania and not Lilliput? At another site I see that Roberto has posted some photos of what he considers to be proof of the 100,000 allegedly murdered at Ponar. On one hand Roberto and the "Holocau$t Industry" say that the German made all the alleged Jew remains magically disappear, then they turn around and present faked photos of alleged remains they previously claimed were disappeared. But then that's what happens when they try to defend the impossible. Classic Roberto's use of faked & remarked communist / Zionist propaganda photos of who knows where? who knows when? by who knows who?, and some are just piles of clothing that they hope will go unnoticed. But hey, this is all that Roberto can conjure. So there you go. Complete BS from Roberto and his Zionist comrades as usual. And what crap does Roberto throw on the wall in the hope its will stick? Easily debunked fakes, that's what. Well, did you see the alleged 100,000 corpses ... "70,000 Jews", & alleged "30,00' others"? If not, you are 'antisemitic'. Those who have invested so much of themselves in this scam will resort to anything in trying to fool the public. Truth is irrelevant to them. The money made, the money being made is enormous. Their delusions of supremacy give them a sense of entitlement to do whatever is in their best interests, regardless of who it hurts. The public is awakening. The tide is turning. We're talking about an alleged '6M Jews & 5M others' ... 11,000,000. There is not a single verifiable excavated enormous mass grave with contents actually SHOWN, not just claimed, (recall the claim of 900,000 buried at Treblinka, 1,250,000 at Auschwitz, or 250,000 at Sobibor, 34,000 at Babi Yar) even though Jews claim they still exist and claim to know exactly where these alleged enormous mass graves are. Apart from that it's a winner. More bizarre photos from paid Zionist propagandist, Roberto Muehlenkamp. More examples of: 'Trust us, we're Zionists' fakes. Notice that the surroundings do not resemble the alleged mass burial site, see OP. So why are these 'victims of Germans' not buried, hidden from view, made to disappear? 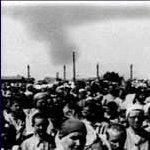 The Zionist lie about Ponar is that 100,000 were dumped into a mass gave. That's 100,000 ! The laughable & impossible 'holocau$t' storyline claims that the Germans hid / magically disappeared all the corpses. But yet panic stricken Roberto produces picture which contradict the very story line he tries to promote. Title Ponary, Poland, Lithuanian militiamen leading Jews to the murder site in the forest, 1941. This photograph was taken in July 1941 by Otto Schroff, a member of the 96th Infantry Division of the Wehrmacht, who witnessed the killing of around 400 Jews at Paneriai on three consecutive days. But the storyline says that 'exterminations' were top secret operations, no records allowed; but now we're told that countless Germans simply disobeyed orders and took photos galore. How do we know they were killed? How do we know they were Jews? So where are these additional 400 corpses? They claim to know the exact site. Another alleged mass grave at Ponar. Simple, two guys with shovels could solve the entire matter. But nope, no digging allowed there. Roberto has not and cannot show us any actual excavations at Ponar, not one. He cannot show us 100,000 corpses that are alleged to be there. The corpses he does show are laughably labeled by Zionists / Communists to mean whatever they want, with no proof that they are Jews, no proof that they are from WWII, no proof that the Germans are responsible, all of which are easily seen to be from sites which do not even resemble Ponar. 'Hey, I have a Big Foot in my garage! As expected Andrew Mathis* has dodged this thread. Obviously he knows he's beat and doesn't want to risk being embarrassed again at this forum. And Mathis & Muehlenkamp are the best that the "Holocau$t Industry" can muster. The Internet is demolishing the false narrative promoted by arrogant Jewish supremacists. From the slaughter of the Palestinians to the lies of Auschwitz & the impossible '6M', the world is recognizing the dangers of Jewish supremacism. CODOH routs unhinged Zionist, Andrew Mathis. Anecdotal evidence & "holocaust survivors"
Are these the only two photos of alleged mass graves at Ponar that Mathis & Muehlenkamp have proffered? Where are the photos of the other 4 alleged "mass graves"? Are there any maps showing these "mass graves"? Please note the photos of the fraudulent archaeologist Richard Freund conducting GPR scans of the alleged "mass graves." Video showing the fraudulent "archaeological investigation" of Ponar can be seen in the above link as well. Please tell this forum what specifically is fraudulent about the investigation. An estimated 100,000 people, including 70,000 Jews, were murdered at Ponar. 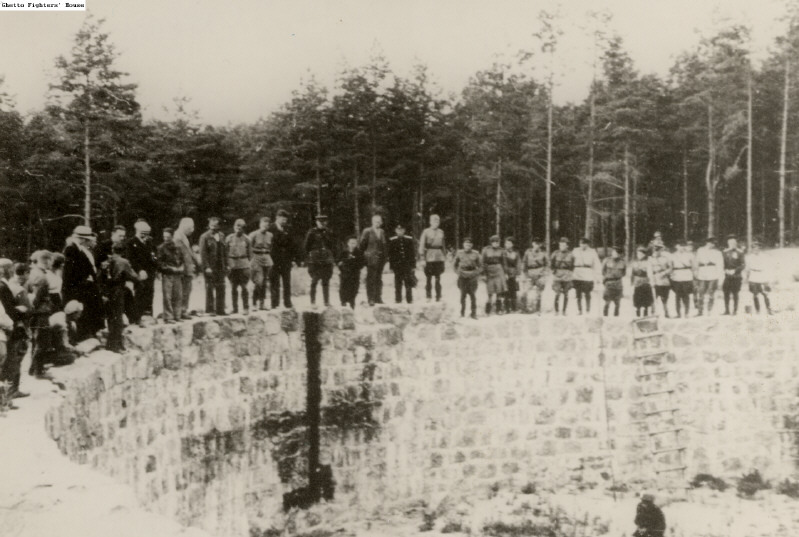 In 1944, when the Russians were about to retake Lithuania from the Nazis, the Germans recruited a group of 80 Jewish prisoners to exhume the bodies and burn them, in order to hide the evidence. Shades of Jankiel Wiernik and the Katyn massacre. 1. We see nothing of the kind. All we see is small patches of land and alleged corpses which could have been from anywhere, any date, any cause of death by anyone, with no proof they are from Ponar or any alleged 'holocaust' site. It's really that simple. Such claims would be crushed in a legit court of law. 2. "Science confirms" nothing here, in fact the pretentious article is damning to the fake narrative. Here we have some guys digging a hole for any number of possible reasons without any proof that the location is even Ponar or that what they are even digging is a 'mass grave'. Laughable, but all too typical. As if those supposedly involved would have allowed photography of actions which are said to have been massive war crimes and very top secret. 1. Last year, an international group of archaeologists found the legendary escape tunnel. 2. They didn’t want to disturb any human remains at the burial pits, so instead of digging, the archaeologists used radar and radio waves to scan beneath the ground. 3. What they found dovetailed exactly with the survivors’ verbal accounts. 2, What? This is supposed to be detached science? Nonsense. They didn't excavate because they knew there was no massive human remains. 'Please your honor, there really are remains of millions buried in huge mass graves, we know where the mass graves are, ... but, but, well, umm, we can't show the court. You must trust us, we're Zionists.' "
3. What we see is simply a soil anomaly of an isolated, single spot which gives no indication of being a lengthy "tunnel" ... that was supposedly dug with spoons. * Anyone could caption this photo as "Nazi slave labor digs mass grave for Jews'. "Actually, it's "air raid precautions, 1940." Science, rational thought, & logic simply demolish the 'holocaust' storyline. And that's why there are Thought Crime Laws that imprison those who engage in free speech about it. Truth is hate to those that hate the truth. Ha! Brilliant and well done. I don't suppose Roberto and fat boy will allow you to publish that on their "site"
According to Andrew 'I have yet to win a debate with a Revisionist' Mathis, using science, logic, & rational thought in scrutinizing the preposterous and impossible '6M Jews, 5M others, & gas chambers' means that we are all "antisemites". any thought or person that a Jew doesn't like. Notice that Zionist Andrew Mathis could post here and try to refute the content of this thread, but he knows that lying is quickly slapped down at this forum, and here he cannot dodge challenges put to him. And that is just more proof that it's a fraud. You have been challenged to actually show us a verifiable excavations and the huge amount of human remains that you allege. 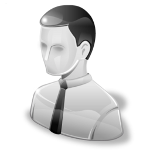 Your recent posting of various 'walls of text' which do not address those challenges are simply dodges and below the standards of this forum. However, I have left the photos that you do think prove your claims about Ponar. (GE2, pp. 274-275). "TGFH" stands for "The Ghetto Fighters’ House” and "YV" stands for "Yad Vashem". Captions are by the respective institution featuring these photos. TGFH Brief Description: Bodies at the Ponary mass extermination site near Vilnius (Vilna). TGFH Brief Description: Corpses exhumed from mass graves at the Ponary mass extermination site near Vilnius (Vilna). 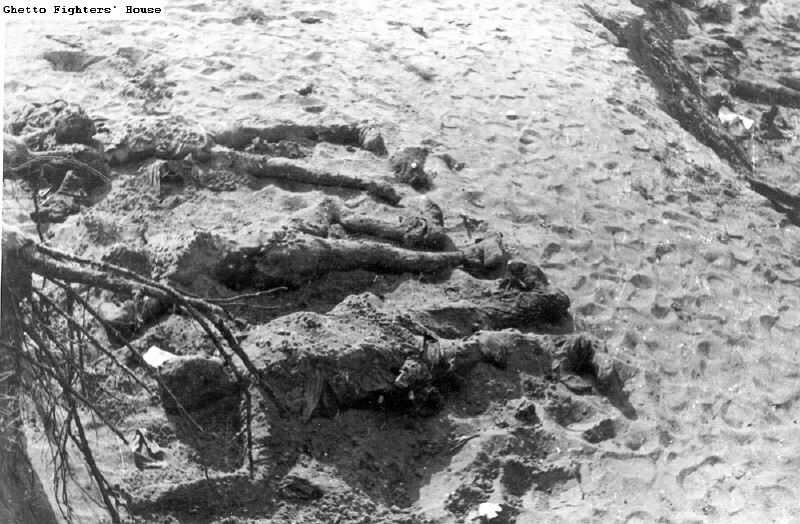 YV Title: Ponary, Poland, Bodies of the victims that were massacred there. TGFH Brief Description: A body in a mass grave at the Ponary mass extermination site near Vilnius (Vilna). YV Title: Ponary, Poland, Three corpses. 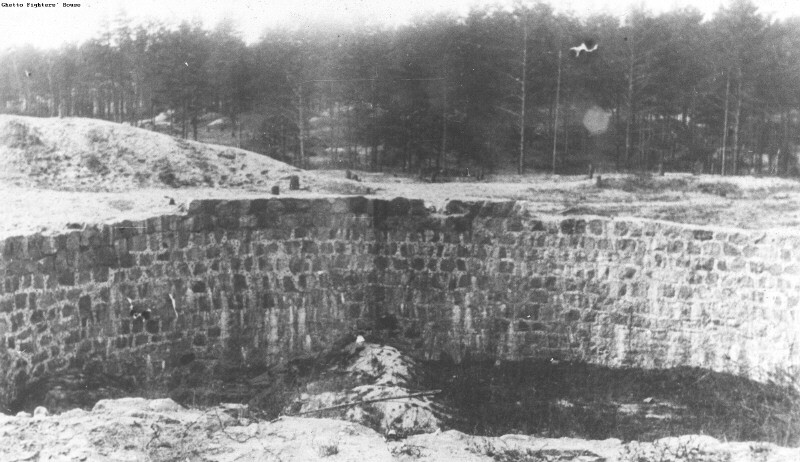 TGFH Brief Description: A pit at the Ponary mass extermination site near Vilnius (Vilna), containing the remains of the murdered victims. 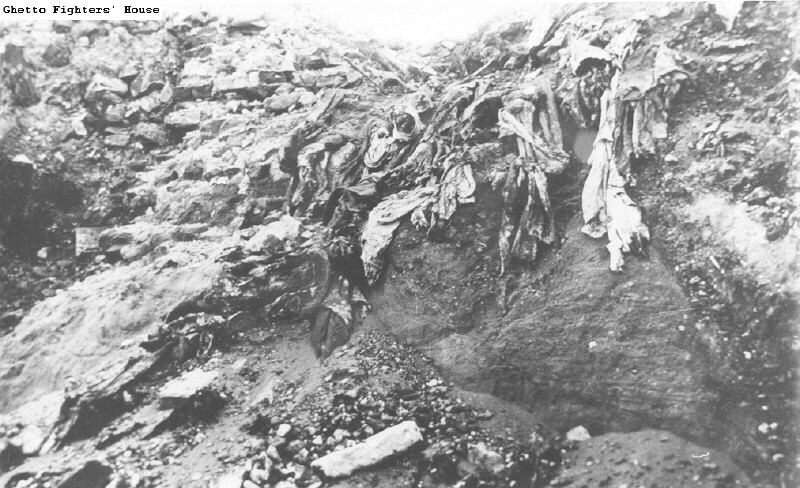 TGFH Brief Description: A pit at the Ponary mass extermination site near Vilnius (Vilna), containing shreds of clothing and the remains of the murdered victims themselves. YV Title: Ponary, Poland, Scattered clothing at the execution site, 1941. 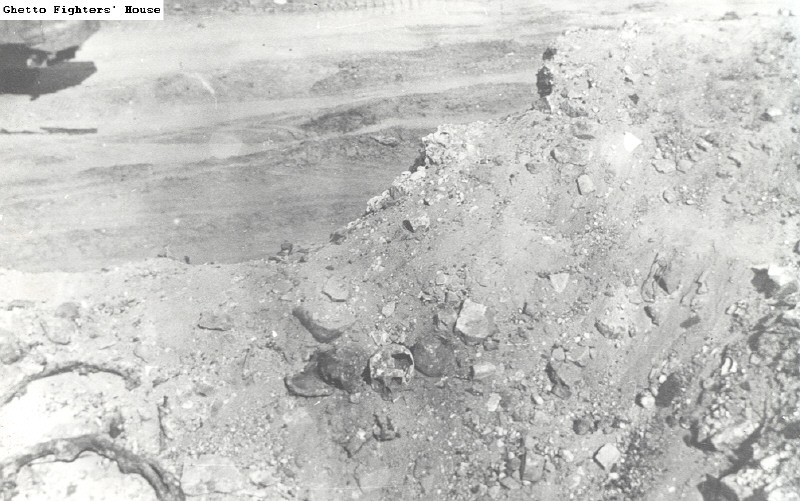 TGFH Brief Description: A pit at the Ponary mass extermination site, in which the remains of victims can be seen. 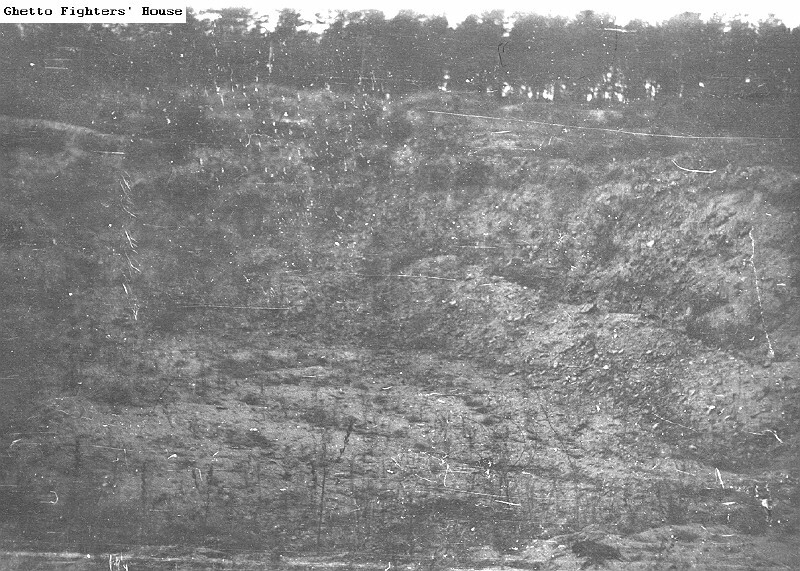 YV Title: Ponary, Poland, A mass grave. Now to the last three Ponary photographs from the TGFH collection. 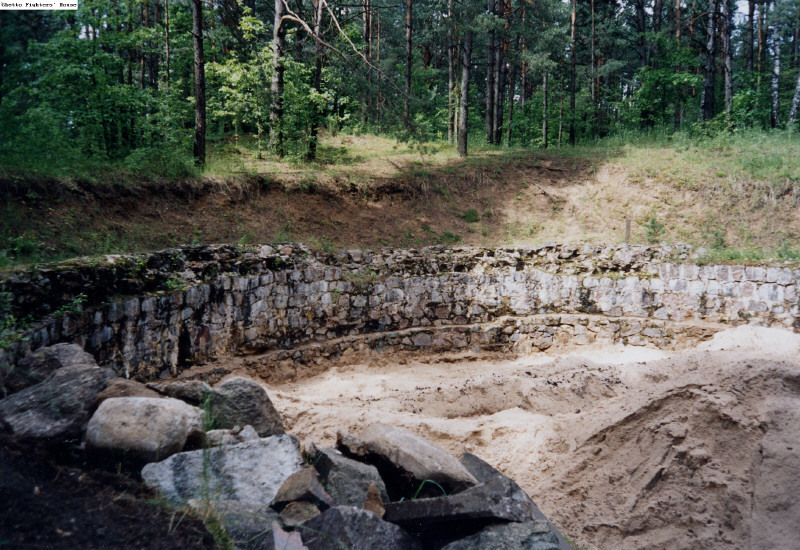 TGFH Brief Description: A bunker at the Ponary mass extermination site, which housed the Jewish "sonderkommando" men. 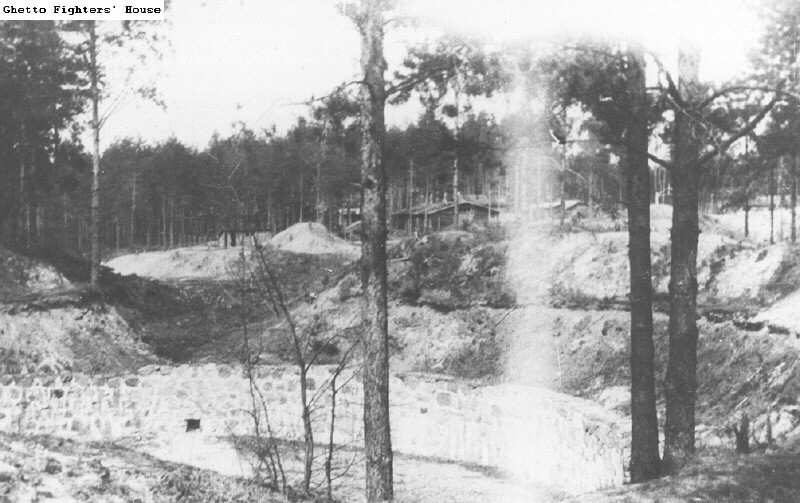 YV Title: Ponary, Poland, The unfinished fuel tank site, which was used as an execution site for Jews from the Vilna region. YV Title: Ponary, Poland, A bunker. YV Title: Ponary, Poland, A pile of corpses and skulls at the time of liberation. 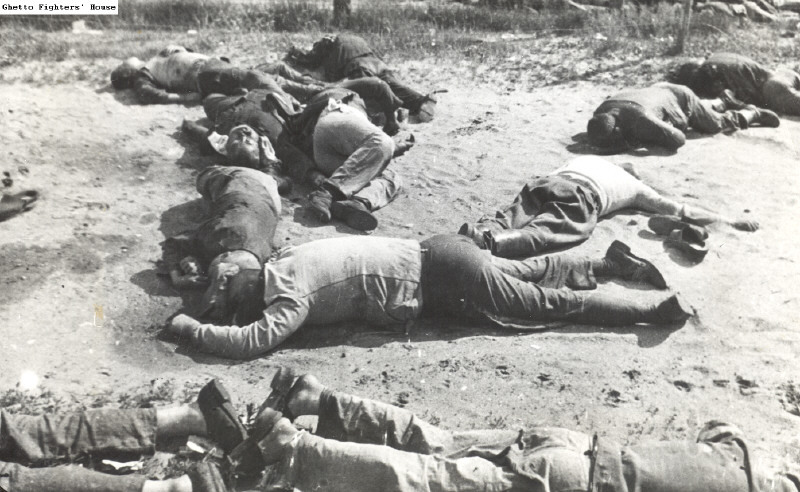 The emaciation of the corpses and the striped uniform seen on some of them suggest that the photo was taken in a German concentration camp at the time of liberation, and not at Ponary. I would add that, on the USHMM website, the same photo is captioned as having been taken at Dachau concentration camp on 4 May 1945. Like other obviously or possibly mistaken captions in the Ponary collection, this one has been brought to Yad Vashem’s attention. 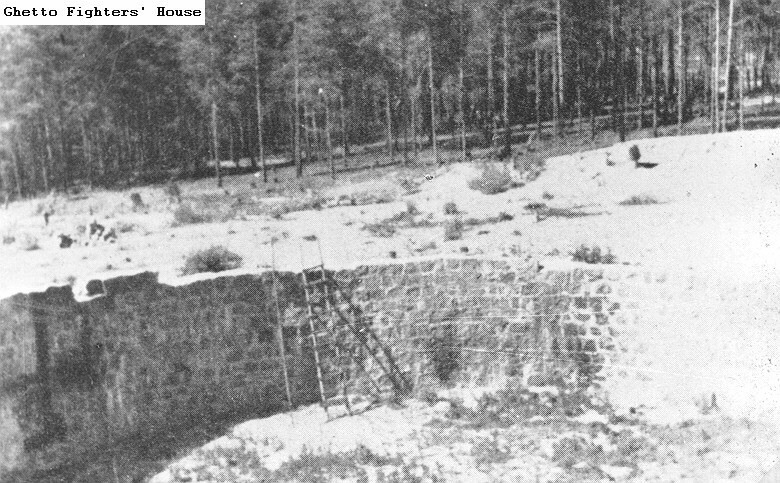 In this context it should be pointed out that the apparent unreliability of the TGFH and/or Yad Vashem photo captions as concerns Ponary would mean that their online archives are poorly suited for determining whether and to what extent photographs corroborate the Soviet investigators’ description of their work and finds at the Ponary site. In other words, the absence of such photographic corroboration in the TGFH and Yad Vashem online archives need not mean anything. 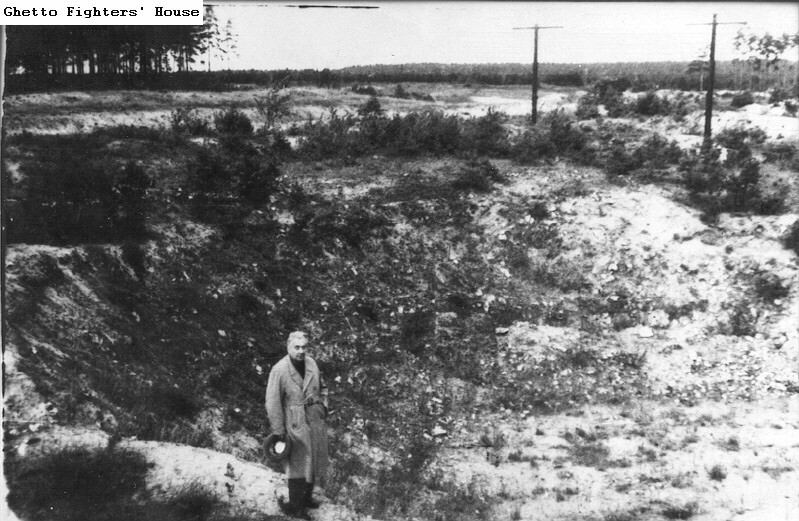 TGFH Brief Description: Dr. Alexander Libo standing beside a mass grave at the Ponary mass extermination site near Vilnius (Vilna). TGFH additional info: Dr. Alexander Libo standing beside a mass grave at the Ponary mass extermination site near Vilnius (Vilna). Photographed on February 2, 1958. TGFH Brief Description: Corpses exhumed from a mass grave at the Ponary mass extermination site near Vilnius (Vilna). The photo was apparently taken by a Soviet inquiry committee. 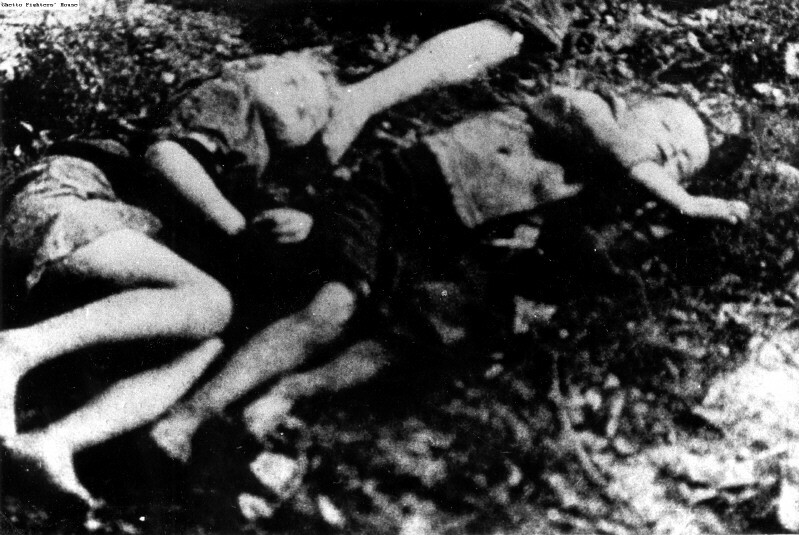 YV Title: Kovno, Lithuania, Jewish children's corpses in the ghetto 30/08/1944. TGFH Brief Description: The excavation of mass graves at the Ponary mass extermination site near Vilnius (Vilna) in July 1944. TGFH additional info: The excavation of mass graves at the Ponary mass extermination site near Vilnius (Vilna) in July 1944. 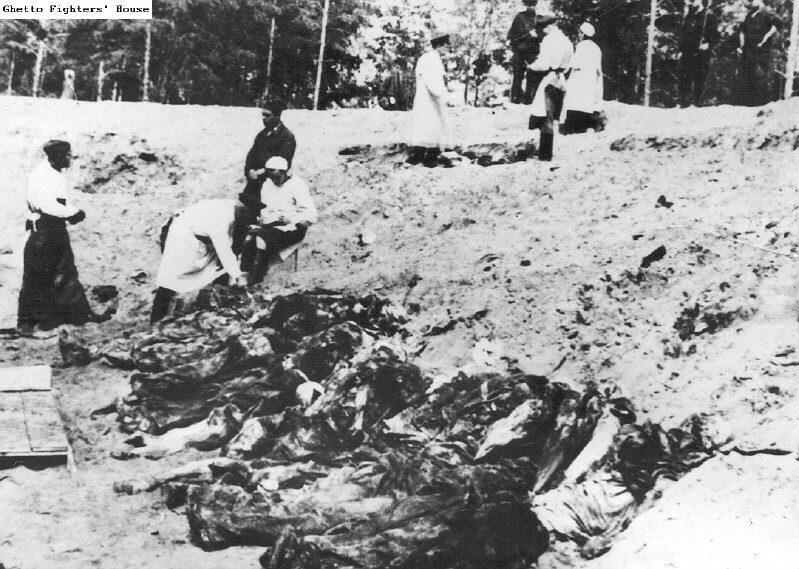 The exhumation was carried out by the "Medical - Historical Committee of the Red Army for Discovering the Murders of the Germans." 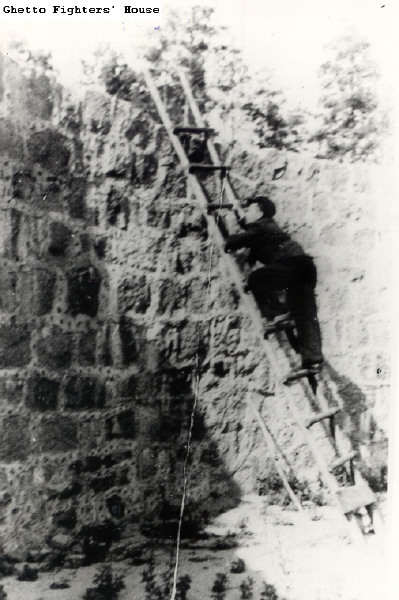 In the photo: the partisans Yechezkel Kremerman and Elchanan Telerant. YV Title: Ponary, Vilna, Poland, 1945, Exhumation. TGFH Brief Description: A bunker at the Ponary mass extermination site, which housed the Jewish prisoners who work it was to burn the corpses. TGFH Brief Description: A mass grave at the Ponary mass extermination site near Vilnius (Vilna). TGFH Brief Description: Dr. Alexander Libo beside a mass grave at Ponary near Vilnius (Vilna). TGFH additional info: Dr. Alexander Libo beside a mass grave at Ponary near Vilnius (Vilna). Photographed on February 2, 1958. TGFH Brief Description: The bodies of children who were murdered at the Ponary mass extermination site near Vilnius. The photo is a still from a Soviet documentary titled "The Battle for Our Soviet Ukraine" (1943). TGFH Brief Description: The bodies of children who were murdered at the Ponary mass extermination site near Vilnius (Vilna). This image is definitely not a photo taken at Ponary. 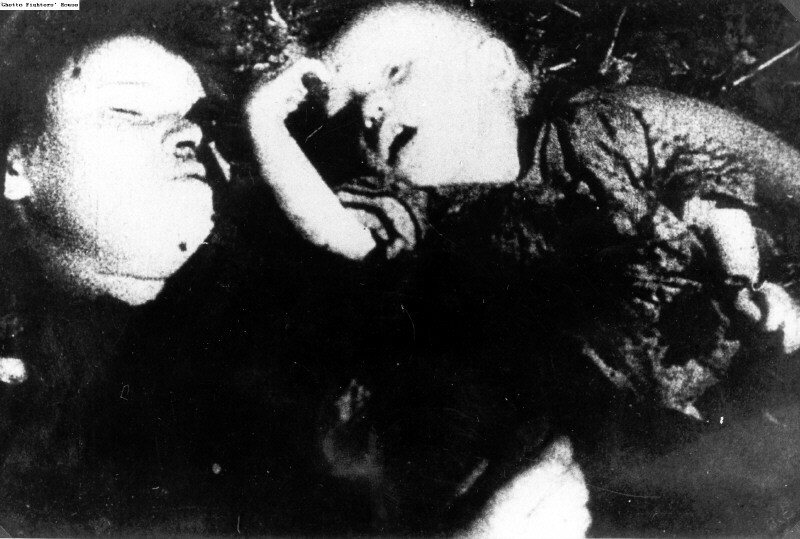 It is a film still from the Soviet documentary "The Atrocities committed by German-Fascists in the USSR", where it is part of a sequence showing a family killed by the Germans in Makeyevka, Ukraine. I informed TGFH about the mistaken caption, but they maintained it. 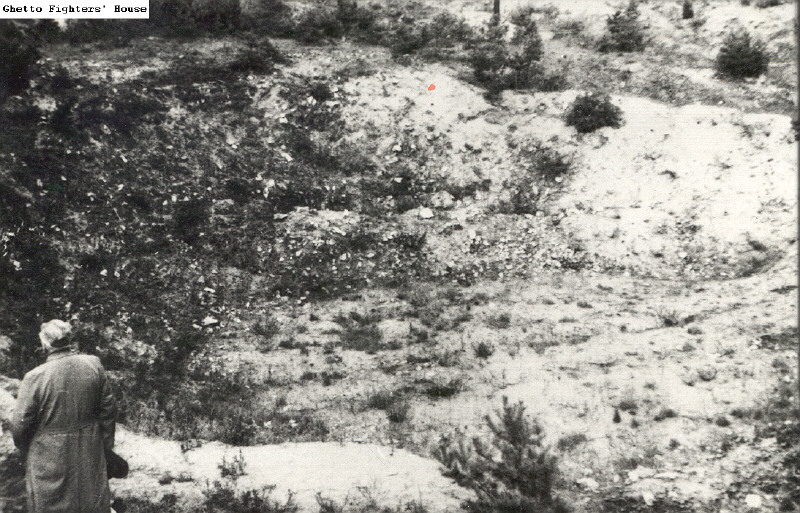 TGFH Brief Description: Red Army soldiers standing beside the bunker at Ponary which housed members of the Sonderkommando who carried out the task of burning the victims' corpses. TGFH Brief Description: One of the mass killing pits in Ponary, that has not undergone restoration. TGFH additional info: One of the mass killing pits in Ponary,that has not undergone restoration. 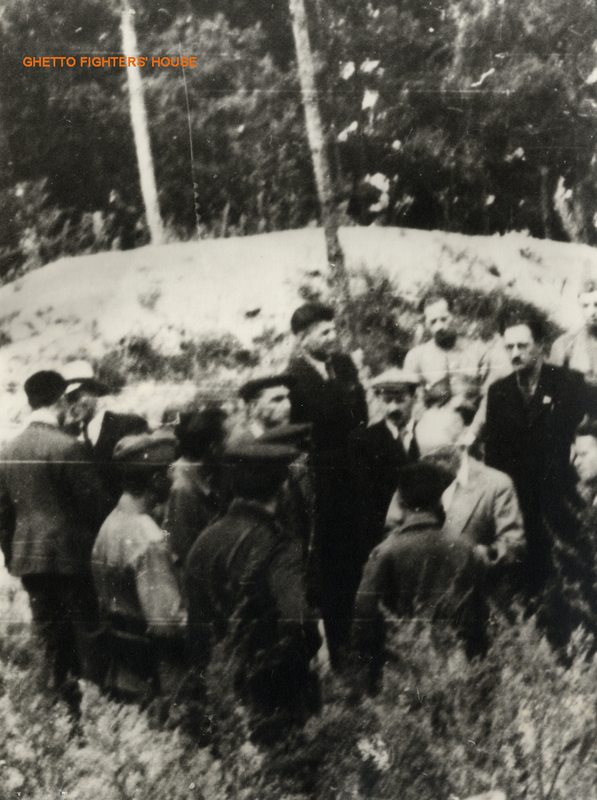 TGFH additional info: Members of a Soviet Commission of Inquiry on a site visit to Ponary. Among those in the photo: several soldiers of the Soviet Red Army. 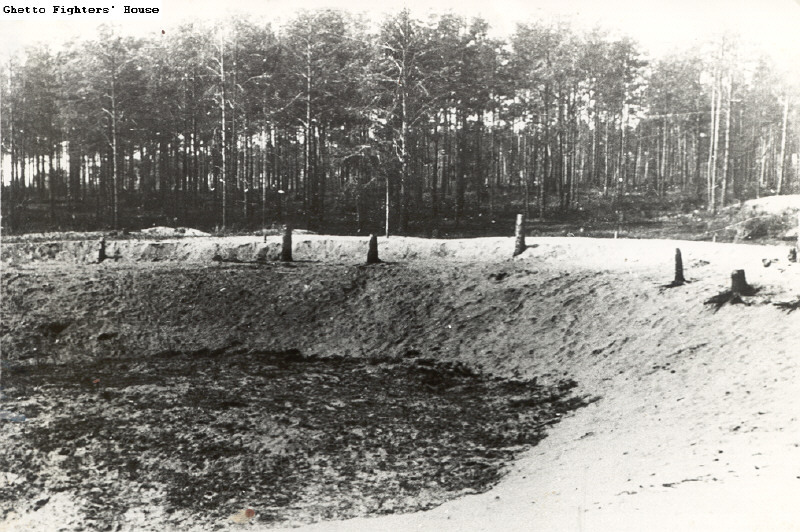 YV Title: Ponary, Lithuania, A covered mass grave. My comment: There is no evidence I know of that any public hangings took place at Ponary, so this photo was in all probability not taken at Ponary. YV Title: Ponary, Poland, Exhumation of corpses from ditches. 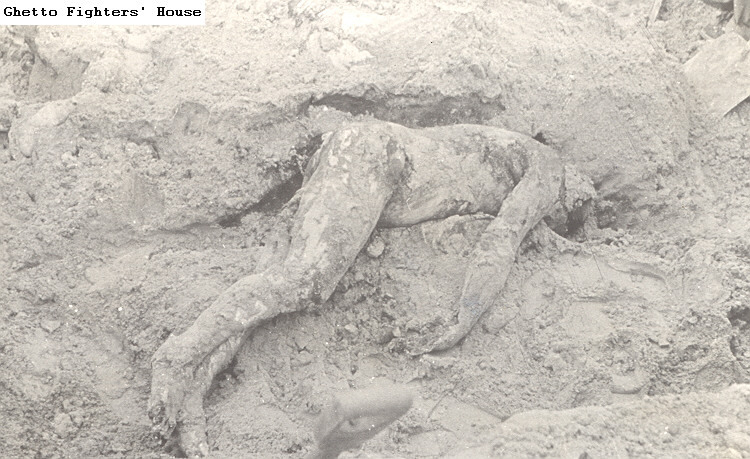 YV Title: Ponary, Poland, 1945, An exhumation. YV Title: Ponary, Poland, October 1965, A mass murder site of Jews. YV Title: Ponary, Poland, Corpses in a trench. YV Title: Ponary, Poland, Corpses hanging from the gallows. YV Title: Ponary, Poland, Corpses hanging on the gallows. 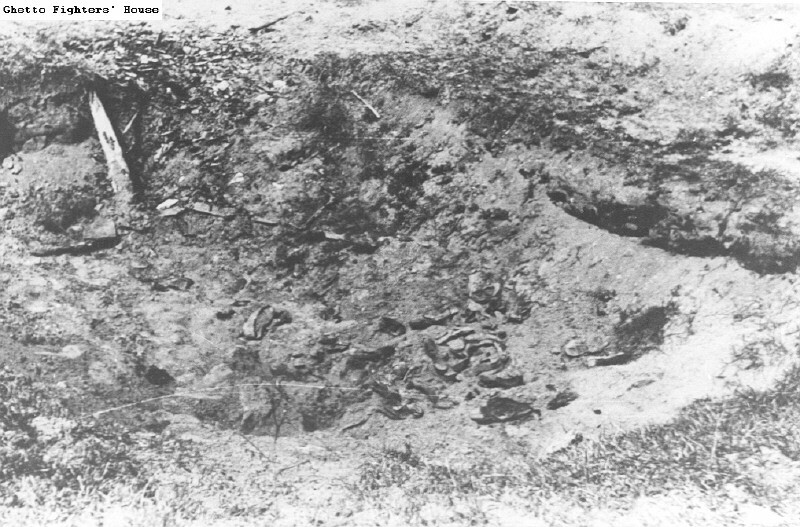 YV Title: Ponary, Poland, Exposed bodies of victims in a mass grave. 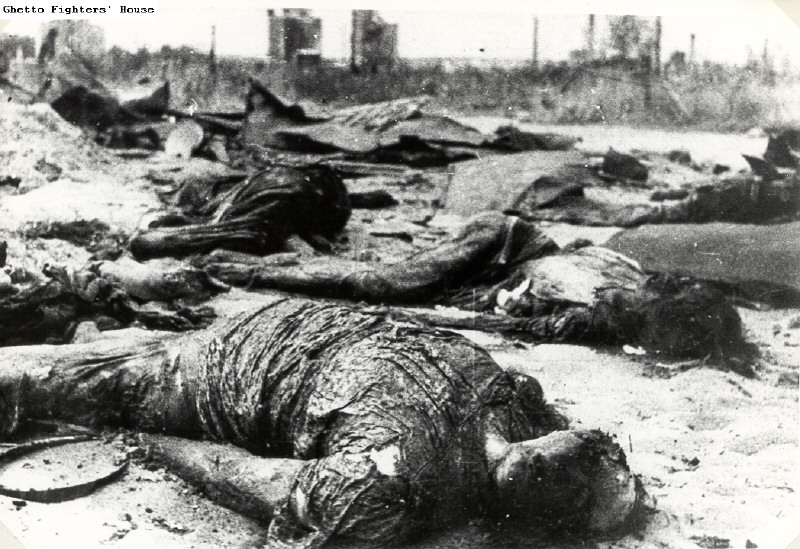 YV Title: Ponary, Poland, Bodies of victims that were massacred near the barbed wire fence. 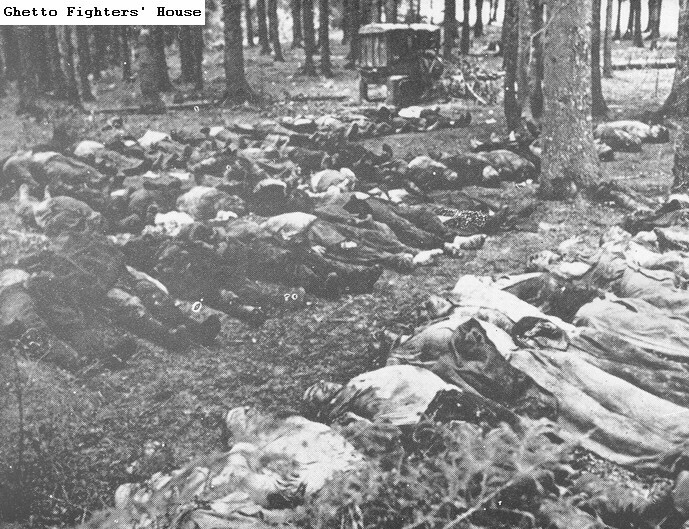 YV Title: Ponary, Poland, Corpses of murdered people. YV Title: Ponary, Poland, Corpses of Russian POWs. My comment: The crew-cut and attire suggests that these are indeed Soviet POWs shot down by their German captors. The barbed wire fence suggests a camp setting. But is this Ponary? If it is, the photo cannot be of Soviet provenance, otherwise the discovery at Ponary of unburied Soviet POWs killed in last-minute executions would have been mentioned in the aforementioned Soviet reports of July and August 1944. Maybe the photo was taken by one of the Ponary operators some time before the place was left and later found in his possession, but without further information this is a merely speculative possibility. The photo might just as well have been taken in the context of a revolt or escape attempt, or some other mass killing at a POW camp, of which there were quite a few according to German historian Christian Gerlach (see translated excerpts from Gerlach’s book Kalkulierte Morde here. YV Title: Ponary, Poland, Corpses. YV Title: Ponary, Poland, Killing pit. YV Title: Ponary, Poland, The Soviet Army exhuming the bodies of those murdered in Ponary, August 1944. YV Title: Ponary, Poland, Doctors exhuming corpses. YV Title: Ponary, Poland, July 1944, A medical committee at the exhumation of corpses. 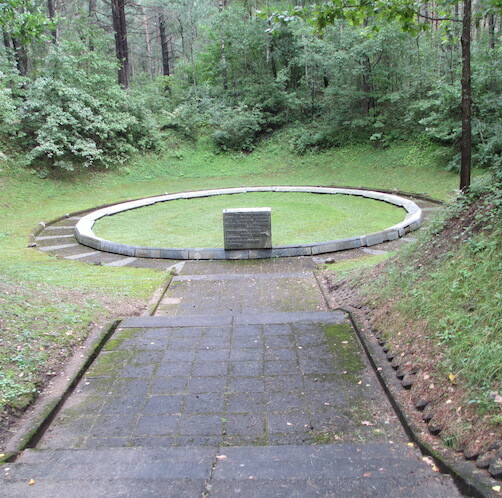 YV Title: Ponary, Poland, A covered mass grave. YV Title: Ponary, Poland, Two bodies in a pit. YV Title: Ponary, Poland, Postwar exhumation. YV Title: Ponary, Poland, Human bones inside a Coffin. The conclusions of this exercise are the following. The Ghetto Fighters’ House and Yad Vashem need to re-caption some images mistakenly captioned as pertaining to Ponary and (re)check the provenance of other photos regarding which a Ponary setting is uncertain or even unlikely.